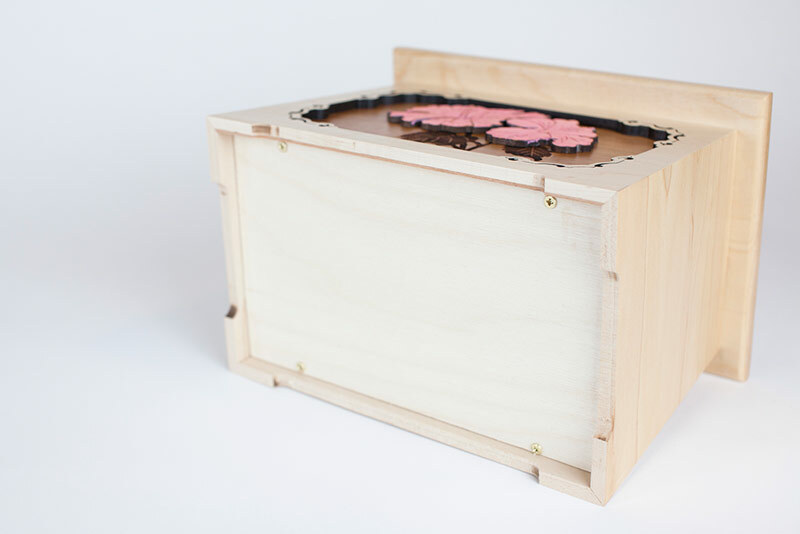 With an attractive craftsman-esque shape, solid wood materials, laser engraved detail, and gorgeous hibiscus flower inlay, this is the ideal cremation urn for the gardener or flower loved. 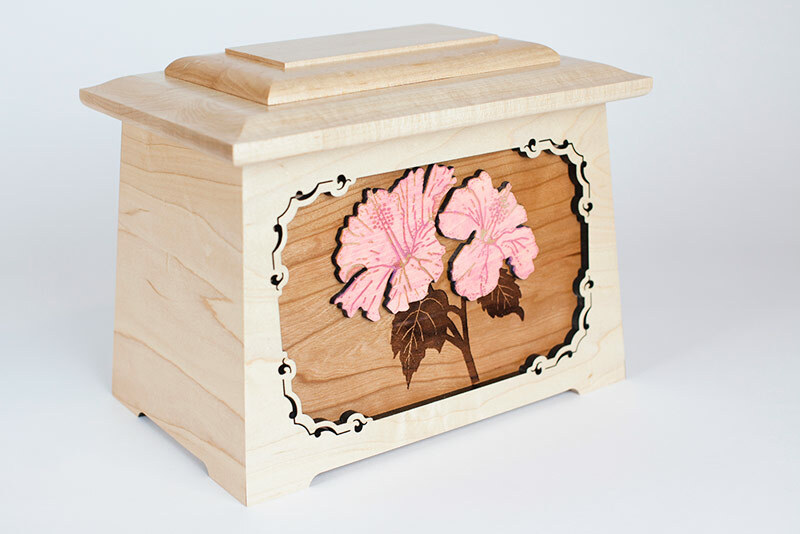 Made in the USA, the Hibiscus Flower Memorial Urn is a tribute to earthy elegance and is available in your choice of white maple as pictured, vibrant oak, or rich dark walnut wood. Our newest addition to a beautiful collection of Floral Urns, the Hibiscus Flower Cremation Urn is built in what we call our “Astoria” urn shape. 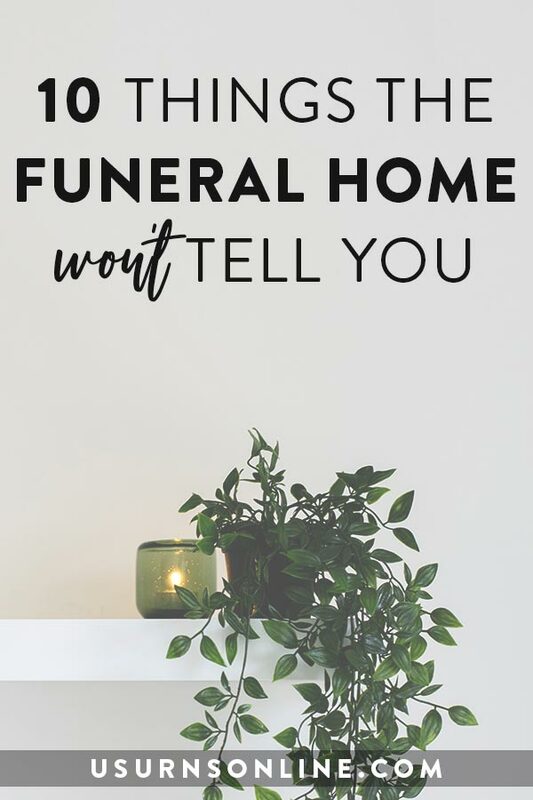 Named after the delightful Oregon coastal town of Astoria, not far from where these wood cremation urns are made, the Astoria urn shape boasts elegant lines and was first designed with this gorgeous lighthouse memorial scene modeled after the famous North Head Lighthouse near the city of Astoria. 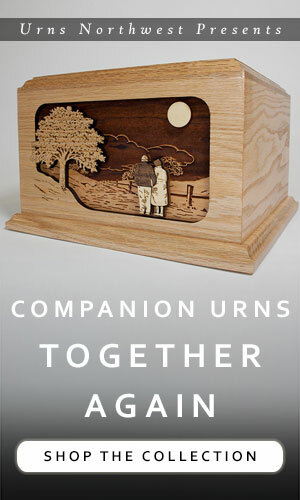 As our collection of 3-dimensional wood art inlay memorial urns has grown, the Astoria shape has remained one of our most popular. 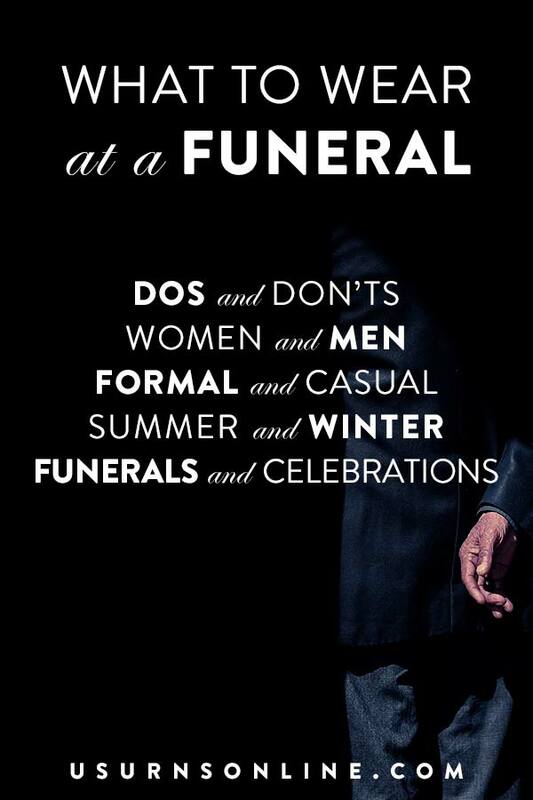 This is why we’ve chosen it to house the Hibiscus Flower Inlay Art scene. 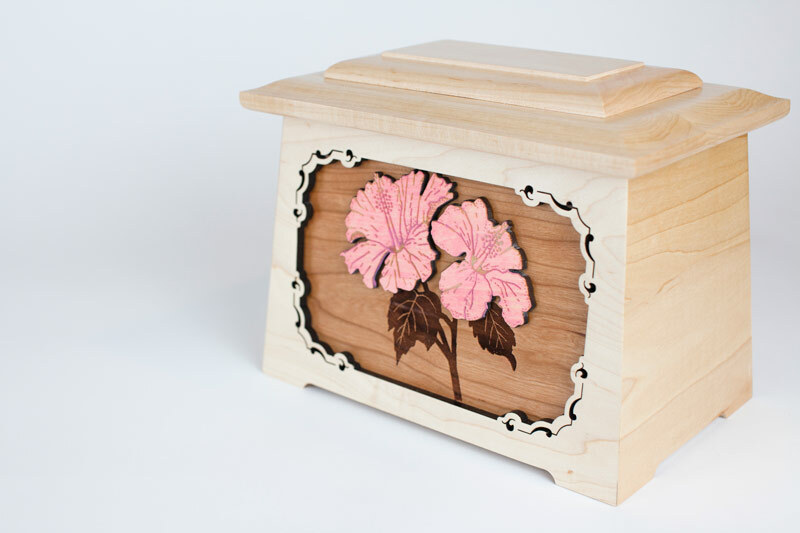 A solid cherry wood inlay panel is engraved with the hibiscus stems and leaves, then set into the face of the maple wood urn. 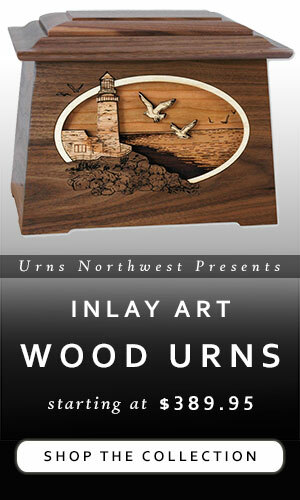 Border designs are laser carved into the surrounding wood, creating an elegant frame. 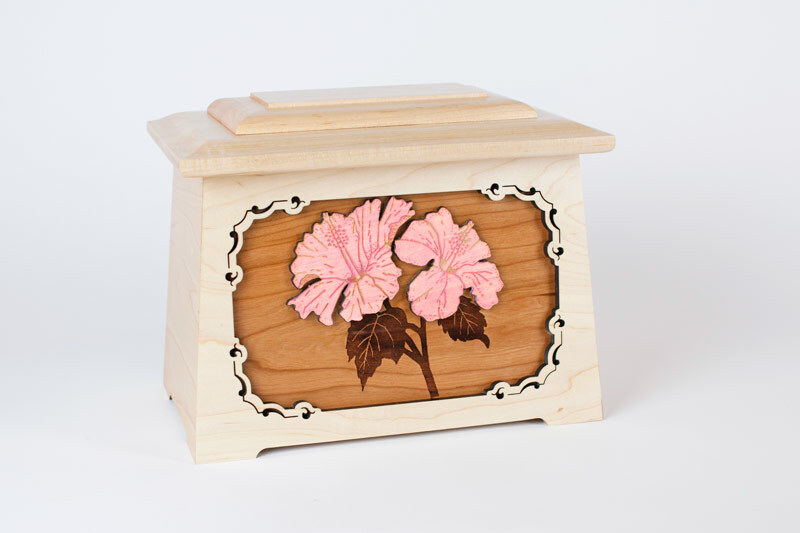 The hibiscus flowers themselves are maple wood etched for detail and finished with a light pink stain.